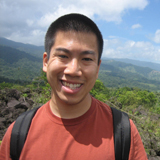 Jonathan has been teaching since 2000 and currently teaches chemistry at a top-ranked high school in San Francisco. Here are some tips and tricks for solving a solution stoichiometry problem, using the method of Millimoles. Milli you know is 10 to the -3, and moles is obviously the mole. So basically this would equal 1 mole or whatever number of moles you had divided by 1000, and that’s the Millimole. We’re going to use this in the example that I have here. What volume of a 0.100 molar HCl solution is needed to neutralize 50.0ml of a 0.45 molar Sodium Hydroxide solution? Step on the right side of your column is to write and balance the equation. So let’s write it out. Hydrochloric acid is HCL aqueous, plus NaOH aqueous. An acid and a base neutralize to make a salt which is NaCl in this case and water, H2O. And then double check, it's balanced. Step 2, convert the moles, usually by molarity times volume. We have the molarity and the volume of NaOH. Here I’ll show you how to use Millimoles. We know that molarity times volume equals moles, so we’ll just plug in molarity. So it’s 0.450 and molarity I like to write out as moles per liter, because it will show you where the units cancel off. That’s how much NaOH we have, times the volume. Normally your teacher would tell you to convert your milliliters to liters because in molarity, it says moles per liter for the units for volume, liter. But in this case I’ll show you the trick, which will actually save us some steps. We’ll just write 50.0ml. If you notice the liters is on the bottom so the liters will cancel out over here the milliliters. So for our units we’re left with milli and mole, so we’ll write mmol. That’s for millimole, just in case. So 0.450 and 50, if you multiply them together, then you end up with 22.5mmols. This is actually a lot better than using moles because you would actually use a decimal in this case, a 0.0225 moles. So 22.5 is a relatively large number compared to the regular number of moles so it makes it nice and easy. Millimoles of Sodium Hydroxide. That was step 2, convert the moles. Number 3, limiting reactant. We know that in the neutralization between HCl and NaOH here, they would use equal number of moles. And so, because the ratio is one to one, so just to show, like in number 4, use ratios to find desired thing. The desired thing we want to find is, we want to find the volume of HCl and the molarity. So if I have 22.5 Millimoles of NaOH, then we’re going to use mole ratios to figure out how many Millimoles of HCl would be neutralized. So we’ll write moles of Sodium Hydroxide on the bottom, because the moles will cancel out from the Millimoles of Sodium Hydroxide we have. And moles of HCl we’ll put on top. The mole ratios are one to one so that’s nice and easy. Just to show, moles of NaOH cancel out here, moles of NaOH cancel out here. I still have the milli here from before. Then we’re left with 22.5 Millimoles of Hydrochloric Acid, HCl. Last thing; number 5. Convert from moles. We want to convert from Millimoles in this case, of HCl to volume. We know that molarity times volume equals moles, and so that means that volume equals moles over molarity. In this case we have 22.5mmols of HCl and we have the molarity of HCl which is 0.100. And then molarity, I’m going to put as moles per liter of HCl. If you notice the moles will cancel out. The liter is on the bottom and it will actually flip back up. We’re left with milliliters of HCl. That math is actually pretty easy here. If you do 22.5 divided by 0.1, then you end up with 225ml of HCl which is our final answer. If you notice, during the course of this we saved from having to convert to liters in the beginning from the milliliters. And at end we saved from having to converting from liters back to milliliters. because whatever volume you start with, you usually want to have those units in your final answer, if it’s asking for volume. Since we started off with milliliters of NaOH, we also wanted to calculate the milliliters of HCl. Millimoles saves you from having to divide by 1000 and multiply by 1000. So you save a couple of steps, plus it's kind of neat. I like it, maybe you will too. If not, you can always just convert the liters and then just do it the normal and that’s fine too. Hopefully these tips and tricks for solving a solution stoichiometry using Millimoles will help you out in the future. Have a good one.